Toronto, ON 9:00 am.-12:15 pm. Armughan Ahmad serves as Vice President of Networking & Converged Solutions for Dell. He leads the sales and systems engineering teams globally that deliver innovative SDx, Cloud, Bigdata, Mobile and Security solutions comprised of Networking, Servers and Storage Solutions for large enterprise, public institutions, small and medium business customers. Prior to joining Dell, Armughan served as Vice President at Hewlett-Packard, where he led the growth of HP’s networking business in the enterprise group, delivering converged and secured infrastructure solutions. Previously, Armughan has held executive management roles at 3Com, Enterasys & Siemens and other technology firms delivering hardware, software and services solutions for vertical industries globally. Dell Software Defined Networking is a virtualization approach to networks that brings benefit of increased efficiency by dynamically integrating with applications and automatically provisioning based on real time demands. Dell Networking has been a pioneer in developing and bringing new SDN technologies to the market that help modernize, transform, and optimize customers’ networks. Software Defined Storage is an IT emerging trend allowing for more flexibility and modular approach to storage to increase business agility. Dell’s vision of the software defined storage is unique as we work with customers to help them choose best solution based on their workloads, applications and their existing infrastructure investments. 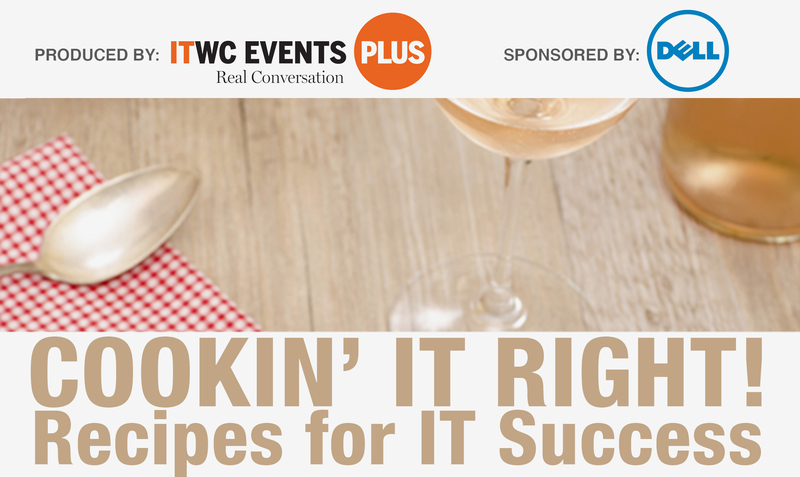 Senior IT leaders come together for a lively exchange of experiences and lessons learned. Gain insights into challenges and solutions and participate in an informative Q&A. Kevin is a Technology Innovation and Business Development Leader with over 20 years of deep knowledge in Information Technology, demonstrating broad experience in holding various positions, most recently prior to Dell as an executive responsible for the strategy and execution of data center design and builds. He excels at executing efficient transformations to drive change that achieves results. For the past 4 years at Dell, Kevin has been effective at innovative client solution development, specializing in large complex IT Solutions and developing whitepapers for internal and external use. He has a proven track record of cultivating strong partners and building strategic relationships by winning and delivering the Dell Enterprise story. Greg has been in the enterprise storage industry for over 18 years. His areas of expertise include NAS, mid–range SAN, and business continuity solutions. Greg joined Dell in late 2010 after 13 years at EMC. Prior to entering the storage industry, Greg was involved in UNIX software development and real–time solutions engineering. Greg holds a BS from Washington State University. Glen Campbell is part of Dell’s field-facing team from the Office of the CTO. He brings two decades of experience in enterprise architecture encompassing the design, build, and operate roles across IT infrastructure, application management, security, and disaster recovery. Participating in and managing these groups placed him at the head of the strategic wing of IT’s partnership with the business, sharing the road ahead at the executive and board of directors tables. As an early supporter of CAOS (Commercial Adoption of Open Source) across the early–mid 90s, his current efforts in cloud reflect the operational and financial appeal of marrying enterprise and open source for success. Paolo has been covering the IT industry for close to 20 years. Paolo began his career in journalism at ComputerWorld Canada in 1989. Paolo has been covering the IT channel for 12 of those years. In that period of time, he has been a guest speaker at several industry channel, distribution and vendor events. He was one of only 13 worldwide channel editors to be invited to participate in the Cisco Channel Intelligence Conference. Paolo was honoured with the Canadian IT Providers Association Award in 2006.